In our eyes, the UE Wonderboom bests the Roll 2 in just about every way –except for the Roll 2’s handy bungee cord. 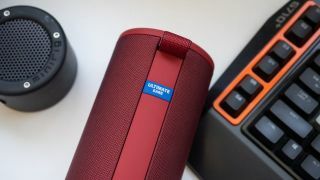 Still, ignoring that, if you’re looking for one of the best waterproof Bluetooth speakers on the market today, it’s hard to do better than the UE Wonderboom. Plus, it comes in some interesting colors, including Avocado and...you guessed it, Unicorn.